Madison, Wisc. – Starting April 1st, felons will no longer be the only ones in the state of Wisconsin to have their DNA forcibly taken. The state is expanding its DNA collection regime to include ALL criminal misdemeanor convictions. The new law being implemented is expected to exponentially increase the number of samples being analyzed in Madison. The current number of DNA profiles created, from the felons’ samples, ranges from 10,000-12,000 per year. Of those cases, 550 positive hits were made on unsolved cases, according to Fox 6. The number of samples is expected to potentially increase to an estimated 60,000 samples being collected per year. Police make the case that perhaps thousands of unsolved crimes could be solved. “We will save lives. We will save people from becoming sexual assault victims, shooting victims because of the evidence that is collected and out there,” said Brian O’Keefe, with the Department of Justice. But the infringement upon individual liberties didn’t go unnoticed. Currently, every time a new felon is convicted, a DNA sample is taken. The sample is tested at the State Crime Lab, creating a DNA profile. Police then input this data into a database and attempt to see if that DNA was found at the scene of any unsolved crimes. Rep. David Craig (R-Big Bend) made the very important point that for the first time in Wisconsin’s history, DNA would be taken from suspects who have not been convicted, but are accused of a violent crime. “I think there is a strong contingent of us that say before they have their due process exhausted in the court system, they should maintain something as personal as DNA. We have a job to balance security, and safety versus individual liberty for those who have not had their day in court,” Rep. Craig said. The idea of taking a person’s DNA without a conviction was first brought forth by Governer Scott Walker in 2013, but it did not sit well with many conservative Republicans. As a compromise, a list of offenses for which DNA could be collected upon arrest was reduced to “just” the most violent crimes on the book. Rightly the ACLU claimed the compromise did not nearly go far enough. “One’s personal autonomy, one’s privacy can get eroded by a thousand cuts,” ACLU of Wisconsin Executive Director Chris Ahmuty said. The ACLU says they have a number of serious problems with the new law. The most pressing issue being privacy concerns — specifically for those whose DNA is collected, but a conviction never happens. “The state of Wisconsin is not ready for this,” Ahmuty said. The state claims that samples collected upon arrest will only be tested after establishing probable cause and that if a suspect is never convicted, after a year, the sample would be removed. “Frankly, I wonder if the criminal justice system is up to the task,” Ahmuty said. 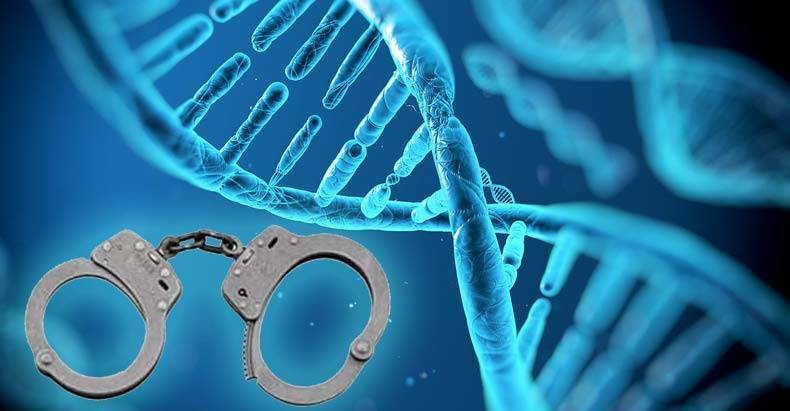 In a controversial Supreme Court ruling in 2013, the precedent was set that says the state can take a citizen’s DNA upon arrest. It seems the state falsely looks upon DNA much the same as a simple, unique identifier such as a fingerprint. The problem with this line of thinking is the that vast amounts of the most private data contained in DNA must also be relinquished to the state. There seems something inherently wrong with having to give up the actual code that makes us, as it is the most private thing that can exist. It has the power potentially to recreate you. Obviously DNA is so much more than just a simple and unique identifier. Should something as precious as our individual code of life ever be allowed to be taken by the state?